A 1-1 draw away at West Ham in seasons gone by would actually be considered a good result for most teams but this season is just different for Liverpool. I find myself fuming at the fact we’re three points clear at the top, it makes no sense to the neutrals but as a Kopite, I know what Liverpool are like and I want so desperately for us to win the title, therefore I want as much padding and protection as possible. While being three points clear is nothing to frown at, it’s the knowing that it could have been five. However, positively for Liverpool we did not entirely crumble against the Hammers, it would have been a nightmare if we’d failed to pick up any points in that game. 2) Lallana hasn’t lost it? Now those who read the blog or follow me on Twitter will know that I’ve never really been a massive fan of Lallana. It’s not even like he’s really done anything wrong either I’ve just never rated him that much and he’s obviously had his issues with injuries. 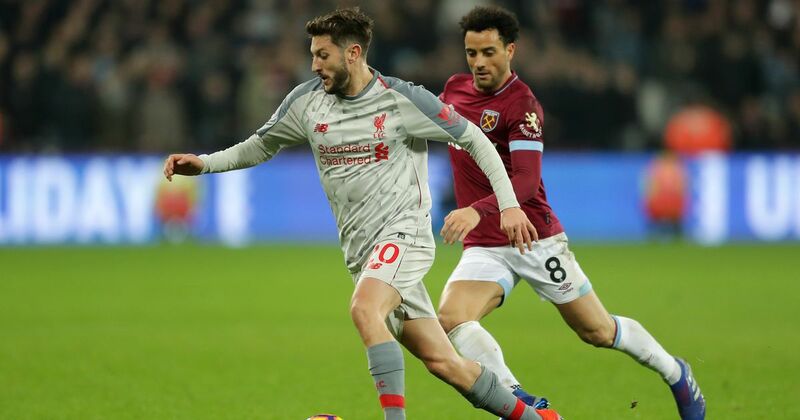 Lallana’s involvement with Liverpool’s goal (yes I know, it was offside) was absolutely brilliant, he ran rings around the West Ham players and credit given where it’s due, I thought he did well last night. Sadio is my favourite Liverpool player, some people knock him for being selfish and failing to pass but on the whole, I think you have to look at Mane this season and last season and truly assess the impact he has on the side. When Firmino or Salah are having a quiet one, for me it’s players like Mane that keep a level of consistency and still are able to make something happen. His finish last night was sublime. That’s a phrase I never thought I’d say in relation to Liverpool this season. The fact is though, we were pretty woeful last night in defence, particularly when it came to set pieces. We were extremely lucky not to go behind in that match. West Ham completely undid the Liverpool back four on several occasions thanks to clever free kicks and we just weren’t up to scratch. I can’t decide whether I would prefer Matip or Lovren partnering Virgil but at the moment I think I’d actually like to see Dejan back. The Reds already had a lot to contend with after the news that Gomez required surgery and Trent remains out but on hearing the line up on Monday evening, fans were informed that Wijnaldum and Henderson were also unavailable due to minor injuries. Wijnaldum, in particular, was a big blow for me as he brings a calmness to the side, particularly in games such as this one against West Ham. From the sounds of it, his injury isn’t too bad so hopefully, he’ll return soon. Having Trent back would also make a big difference in my opinion and I’ve been reading today some positive news about Oxlade-Chamberlain so hopefully the Reds are turning a fitness corner!